It's the season for macabre. Horror has come a long way, baby. Whether in movie theaters, on TV, and now streaming from computers as webisodes, audiences just want to be scared. Filmmaker Scott Perry, creator of In Fear Of, a new web series in the tradition of Tales from The Crypt and The Twilight Zone has tapped into why audiences love that jolt in the chest a only a good fright can give. "There is an anagram for the definition of fear which I believe in," explains Perry, "which is fear is nothing more than False Evidence Appearing Real." Perry's In Fear Of series hinges on this notion of fears that are amplified, or phobias. "Each episode chronicles a specific clinical phobia. The phobia must be a real diagnosed condition that is treatable," says Perry. 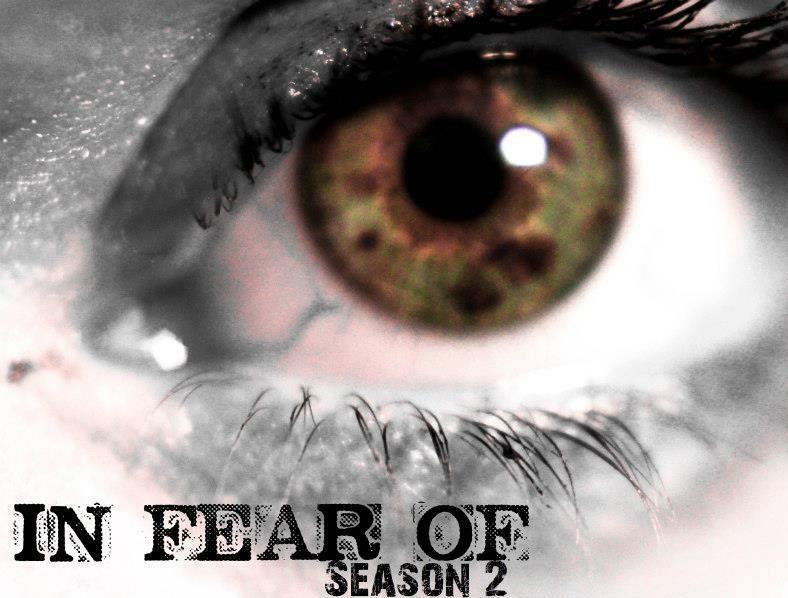 Some phobias chronicled in the Season One series include Monophobia: Fear Of Being Alone, Podophobia: Fear Of Feet, Selenophobia: Fear Of The Moon, and Apehephobia: Fear Of Being Touched. So what's the difference between a fear and a phobia? "A fear would be I'm afraid to cross the street. A phobia would be I'm afraid to cross EVERY street." Perry continues, "A fear can start as early as infancy, while a phobia is a fear developed over time. I also think it's easier to conquer a fear of something than an outright phobia, but it is interesting to find what people are afraid of and why." One of the series' stars, actress Kelly Rae LeGault elaborates. "There are as many different fears as there are people. Anyone who watches the show will interpret the episodes differently based on their own fears." LeGault is one of the series' many "scream queens," along with cult favorites Debbie Rochon, Suzi Lorraine, Anne Bobby, Heather Drew and Mayra Leal of Robert Rodriguez's, Machete. The advent and rising popularity of web series seems to be a perfect fit for the horror genre, where the low budgets often give horror writers, directors, and actors more room to experiment and push boundaries. Most streaming sites do not place many restrictions on content, which bodes well for the horror genre, plus, fans of horror are so rabid and devoted, they will go seek it out in its most unadulterated form. Director Jeremiah Kipp, who is a featured director in Seasons One and Two likens the series to "mad collages built around a central theme. As a director, what I was looking to do was create some kind of immersive fever dream and place a central performance in that context. The viewer, hopefully, responds to the kinetic energy as they would to a hallucination." Bone chilling, indeed. So, what's your greatest fear?